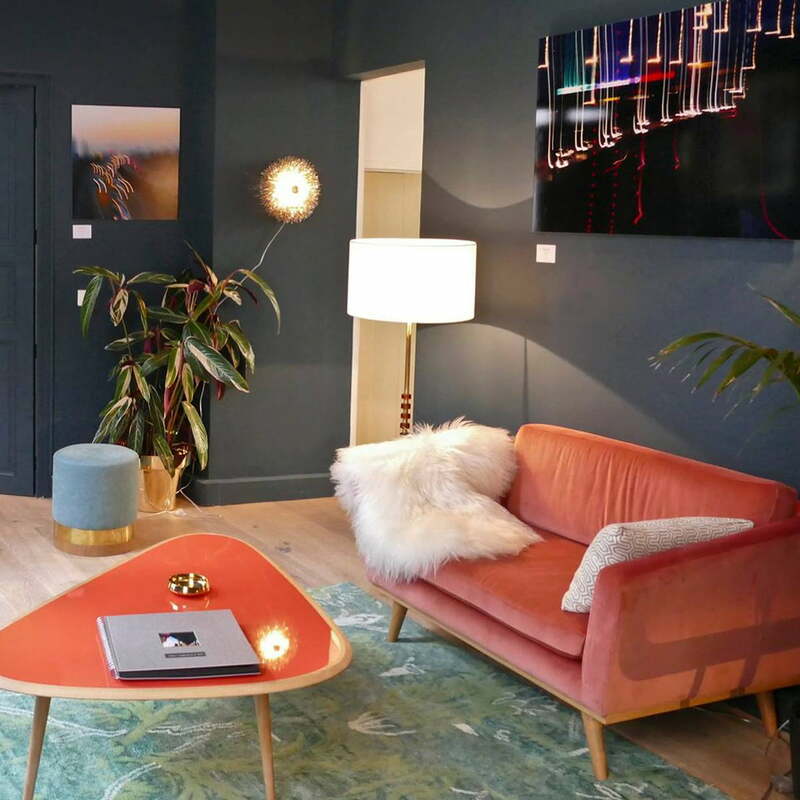 The curves and the tripod stand of this large and stylish coffee table by red edition bring back the golden flair of the 50s in the living room and is reminiscent of the iconic kidney-shaped table. 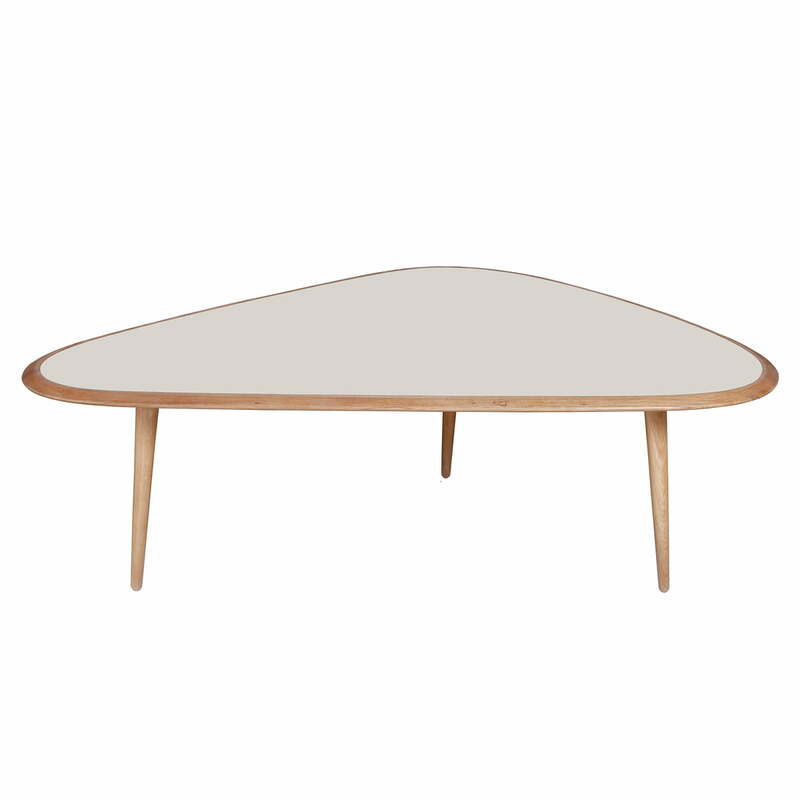 The elegant Coffee Table was designed by the English designer and interior decorator David Hodkinson. He tries to integrate new and innovative techniques into red edition's furniture creations, both in the design and the manufacturing of every piece of furniture. 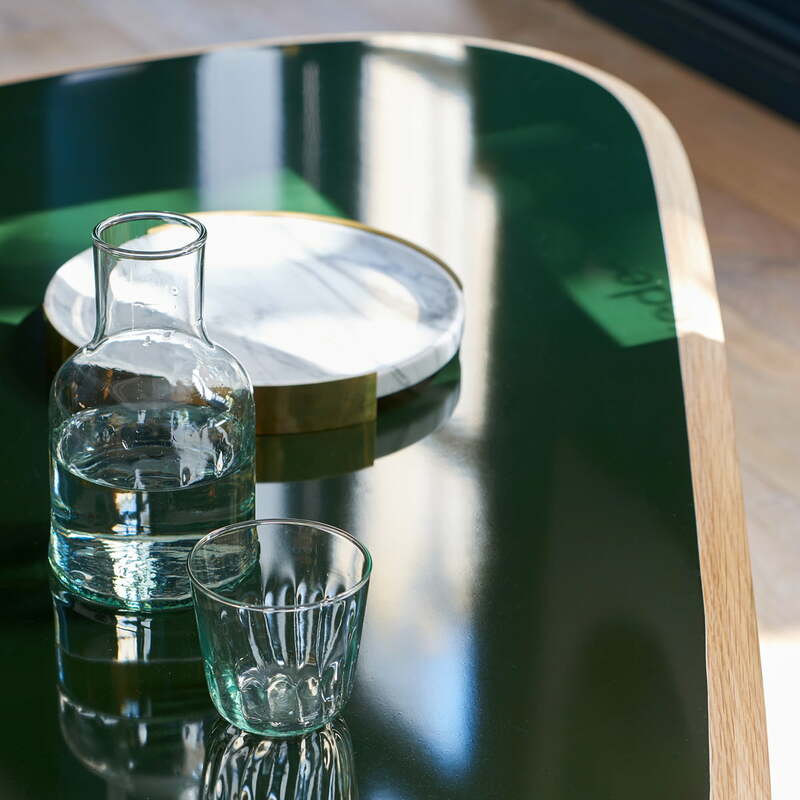 The colored lacquered finish gives the Fifties Coffee Table a special luster and modernity. The tones of paint are applied by hand in two layers. The mix of the colored lacquer surface and the solid oak frame make sure that the table becomes a charming highlight in any living room. The Fifties Coffee Table by red edition is available in two different sizes and can be used in a duo as well as individually. The large table version is particularly suitable for dinner parties. 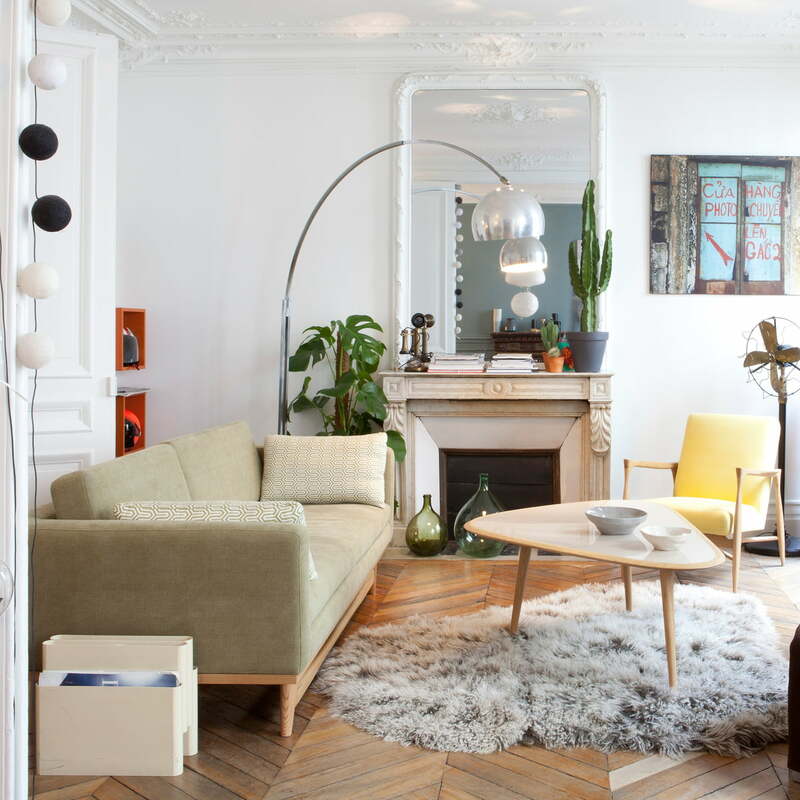 The smaller table is an elegant storage solution, particularly next to the sofa or the bed. 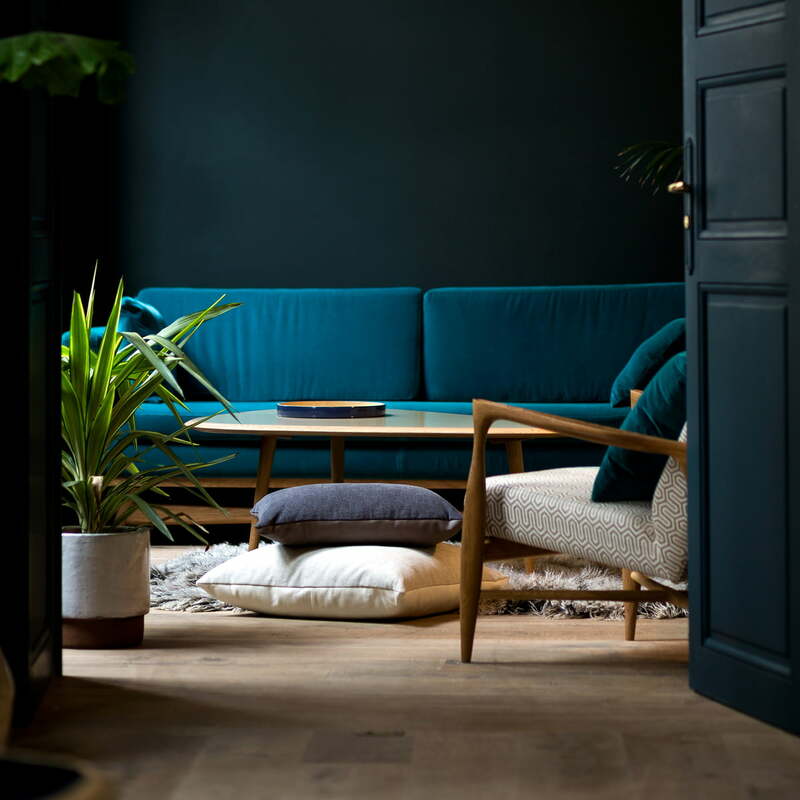 The kidney-shaped tables by red edition are both available with lacquered surface in different colors, as well as with natural oak or marble table top. Optionally, the feet can be refined with brass details. 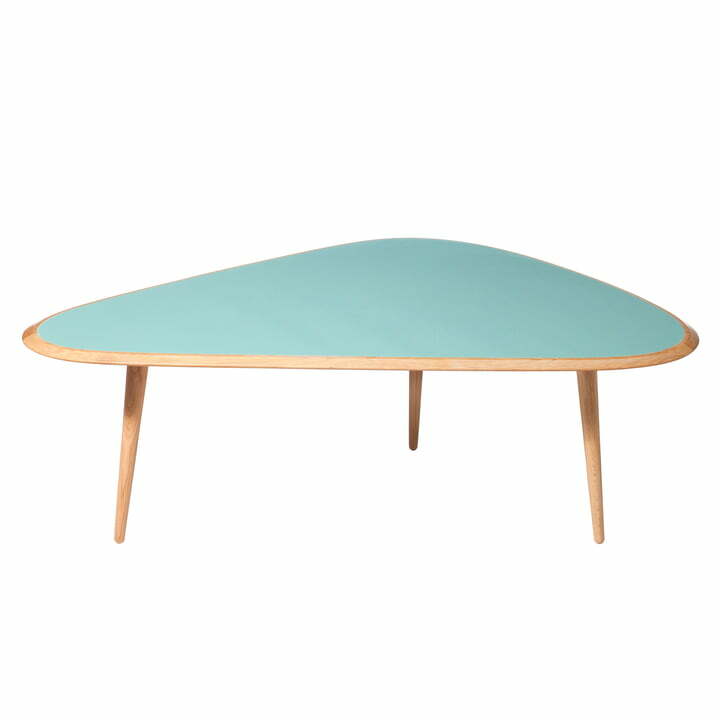 Single image of the large Fifties Coffee Table by red edition in mineral green (L09). The kidney-shaped tabletop consists of painted MDF and solid oak table legs.